As we all know, aging is inevitable. How you age is not. It’s never too late to start caring for your body and mind. Everything you do in life cumulatively contributes to your aging, for better or worse. 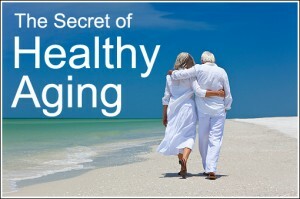 Healthy aging consists of two components working collectively: physical and mental well-being. By keeping these optimized you can stave off age-related disease. Feed your body – Eating fresh fruits and vegetables along with organic lean proteins can help you nourish your body with anti-inflammatory foods. According to Andrew Weil, MD in his book, Healthy Aging, “Inflammation is a common root of many chronic diseases…inflammation suggests a ‘fire within’…and processed foods increase inflammation.” By decreasing the consumption of processed foods, you will delay the onset of age-related disease. Drink water – Your brain is approximately 78% water so it is imperative to stay hydrated. Water is vital to your health because it keeps your cells producing the energy you need to function every day. Your urine is a useful indicator of proper hydration and should be pale in color. Manage stress – Through a regular practice of gratitude, meditation, deep breathing, and/ or performing relaxing activities like gardening or arts & crafts, you lower heart-damaging stress levels.